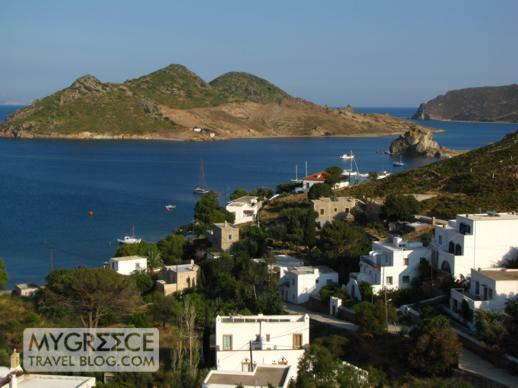 Quick clips: Below are several short videoclips of Grikos Bay on Patmos. Most were shot from our balcony at the Hotel Golden Sun, including one from the morning after a violent overnight thunderstorm struck Patmos, knocking out the power on the island for several hours. The videoclip shows the storm system moving away from Patmos and soaking the coast of Turkey with the same heavy downpours we had experienced during the night. The fourth clip was filmed early one morning from Kalikatsou Rock, which is visible near the upper right-hand corner of the photo above. 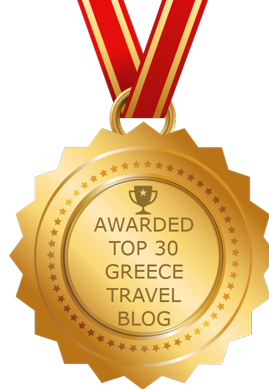 It gives views of Petra Bay and Petra Beach before panning across Grikos Bay.